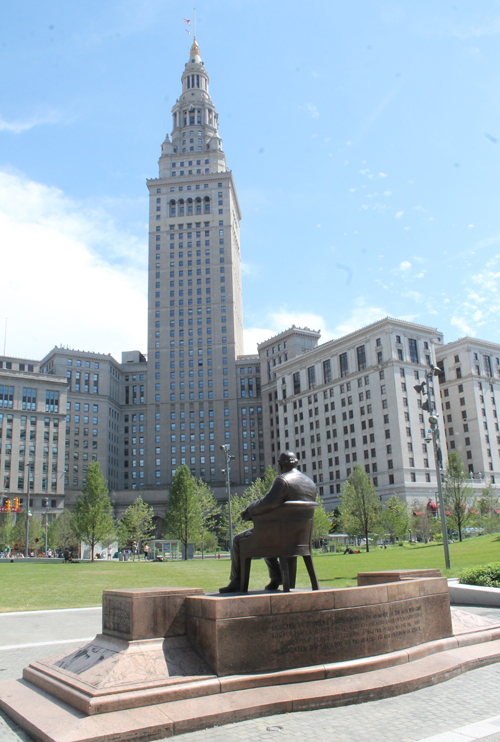 If you haven't see the remodeled Public Square, here is a quick look. 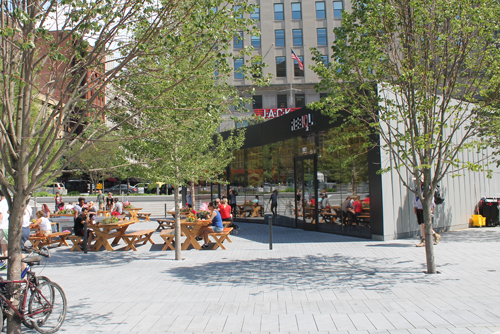 The four quadrants of Public Square are connected and features lots of green space, a restaurant, speaking area and water feature. 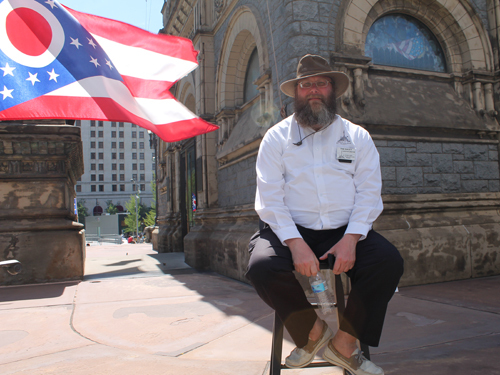 The Soldiers and Sailors monument still anchors the SE corner of the Square. 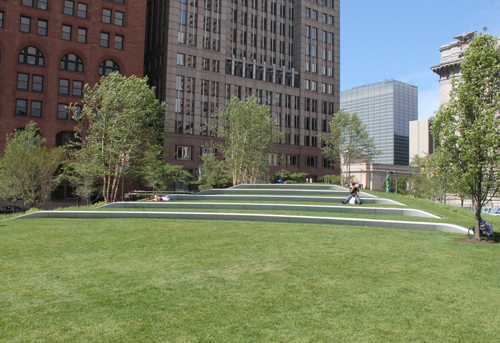 The NE quadrant has raised grassy areas. 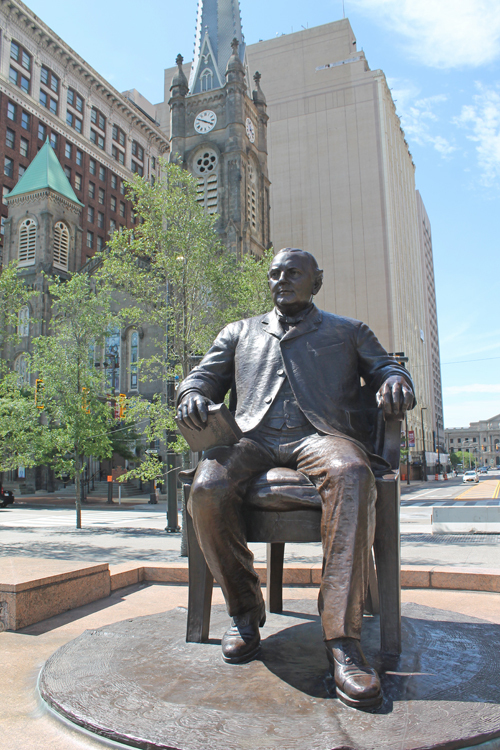 The statue of Mayor Tom L Johnson still rests in the NW quadrant in front of the Old Stone Church. 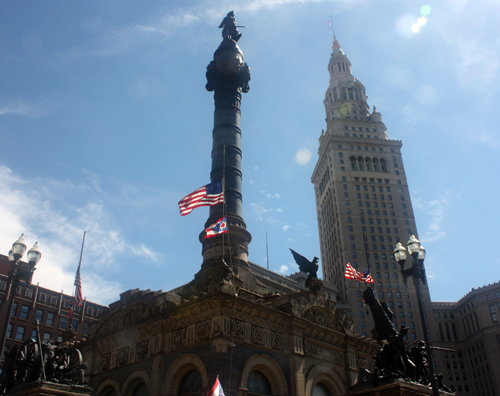 The SW corner in front of Terminal Tower and the casino is most changed. 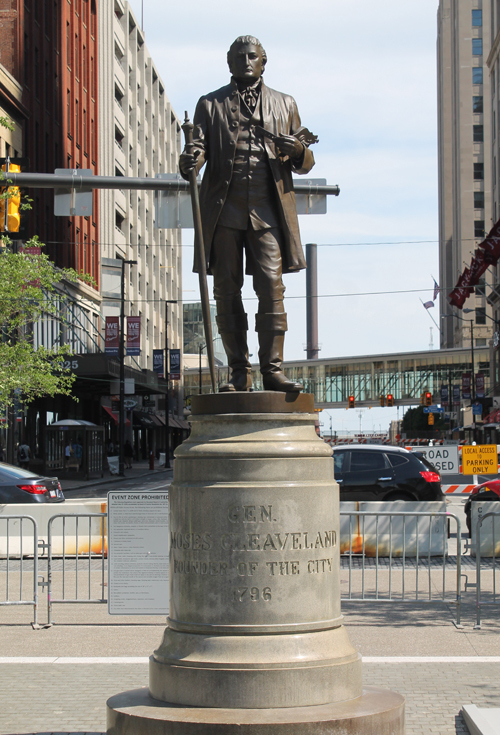 There is a restaurant, a water feature, a speaking area and the statue of Moses Cleaveland has moved. Copyright � 2001-2016 ClevelandSeniors.Com. All Rights Reserved.